Need an experienced, quality, and affordable basement finishing or basement renovation contractor for your next project? HighTechReno can help! 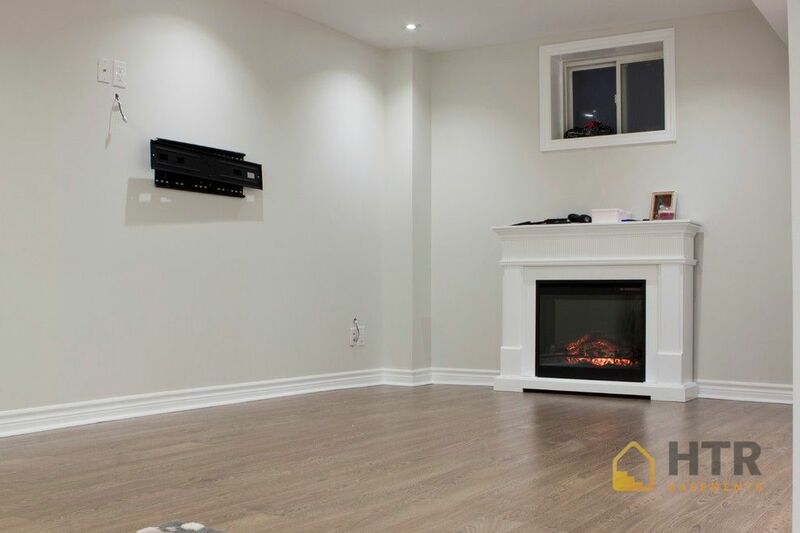 We have over a decade of experience renovating and finishing basements. 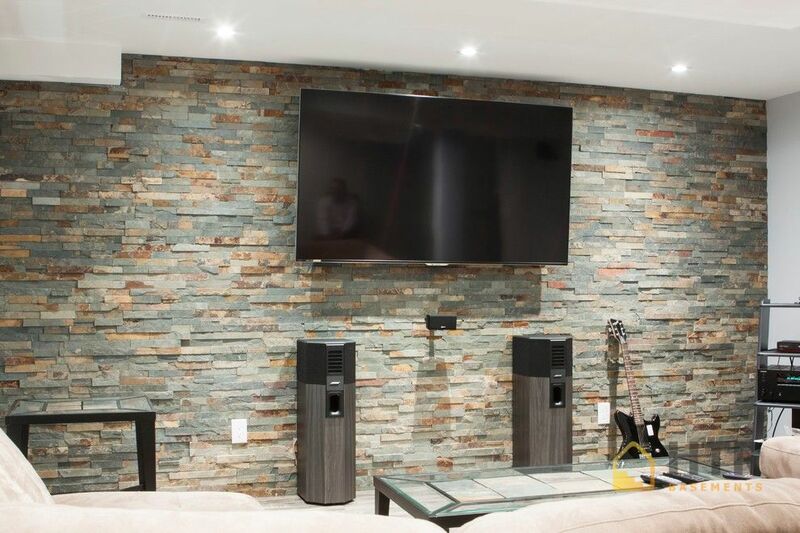 Our high-quality basement finishing services always come with a full warranty. 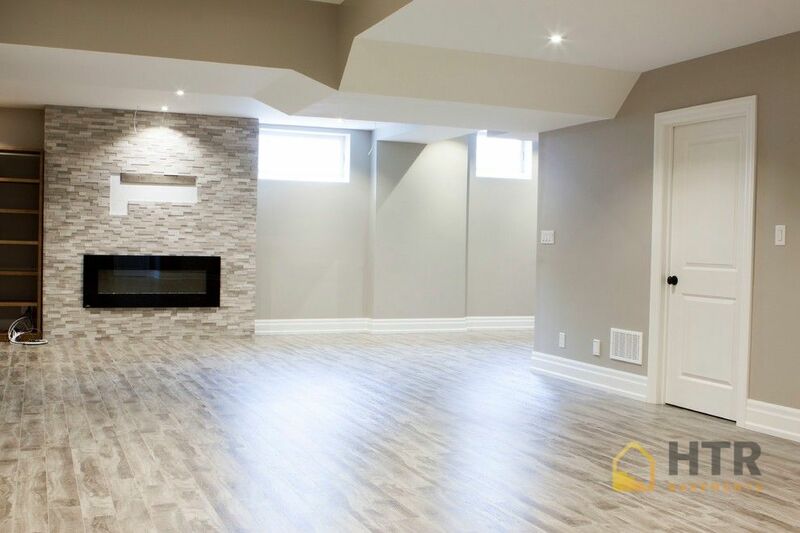 We give all our clients a free no-obligation professional 3D basement design and consultation, so you can plan your layout to maximize your living space. Our work is all done by fully licensed and insured master tradesmen. 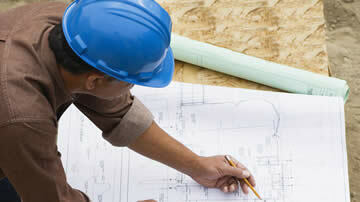 We guarantee that your project will be completed on time and meet all your requirements. We will beat any written estimate! Schedule your free in-home consultation, and let us show you what we mean by quality and value. 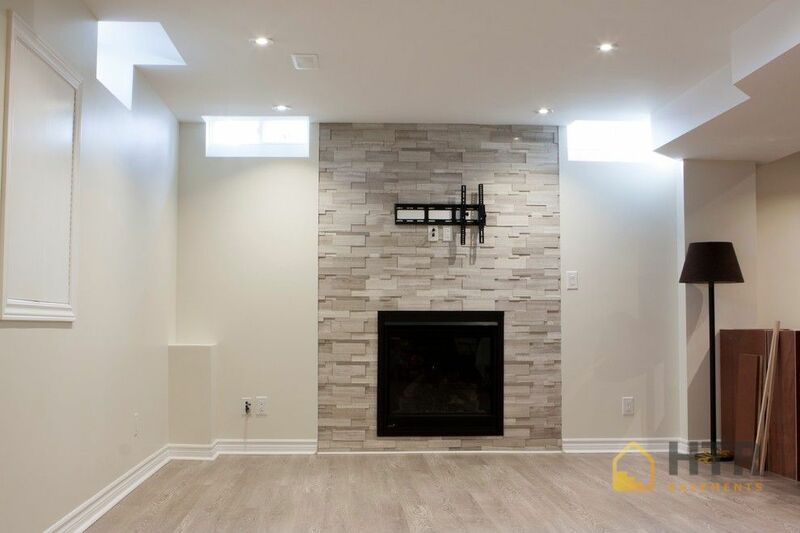 We are basement renovation experts who believe in providing our clients with quality basement finishes and renovations with no hidden costs. We service the GTA and surrounding area and are known for our great service and expertise. We offer a 100% satisfaction guarantee on all our workmanship, and we offer competitive pricing with exceptional quality. We have absolutely no problem recommending Dmitry and Alex to do your renovations! They were very helpful from initial design and estimation all the way though completion. We had a ~1200 ft unfinished basement to do, and we were not good customers! We kept changing our minds about finishes on the fly. They were flexible and accommodating, even though our changes impacted the schedule, and the end result is pretty spectacular. We are very happy! Before I decided to finish my basement in my rental property I interviewed quite a few companies. I was lucky to choose Alex and his team. They were so professional, efficient, fast and delivered high quality job! I can highly recommend them for any project of any caliber! The team at HTR transformed our dark concrete box of a basement into the bright, comfortable room we’ve wanted since we bought our house almost eight years ago. They managed all the details without issue and we really couldn’t be happier. 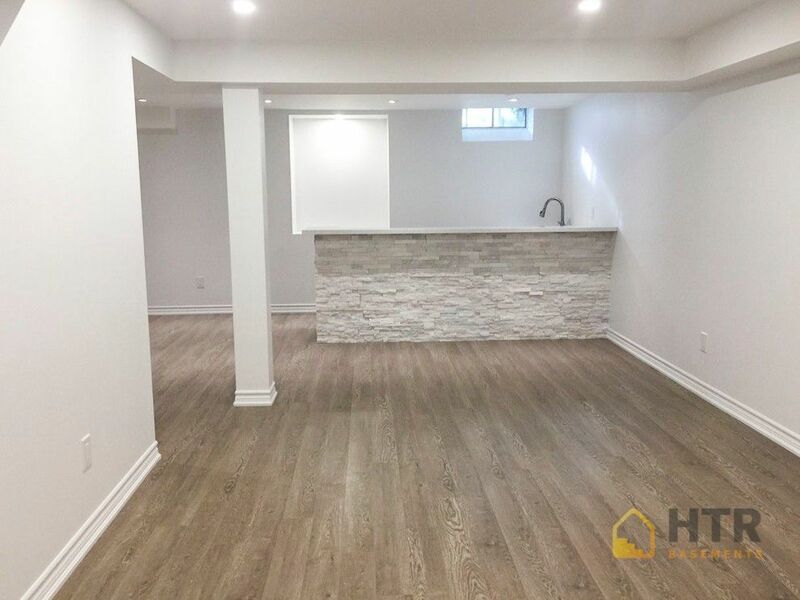 We’ve had the experience of working with unreliable tradespeople so, we started our basement contractor search with a great deal of doubt and skepticism. Dmitry visited us, walked through our wish-list and quickly generated a detailed quote as soon after, a digital rendering. He was flexible with options and great with advice. He even helped us with items that were not part of our scope of work. We saw more of HTR’s expertise as soon as Dmitry handed us off to Alex. Finishing ahead of schedule was a regular thing with HTR. For example, the framers planned for a three-day job however, they wrapped up in a day. The same thing happened with insulation, drywall, plumbing, flooring and painting. Everything was done quickly and most importantly, correctly. As with any project, there were a couple of hiccups along the way but Alex resolved them without issue. Our basement is finished, we’re thrilled with the result and our faith in tradespeople has been restored. I recently hired High Tech Renovation to do my basement and I couldn't be any more happy with the finished project. Alex and his team went above and beyond to meet our needs and were always there to answer our questions or fix any concerns/issues. Alex and Dmitry were very professional from the start of the project all the way to completion. 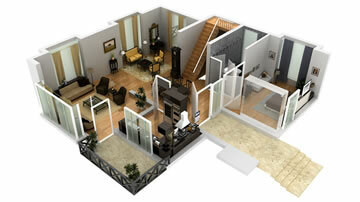 It really helped that Dmitry came up with a great 3D design which allowed us to see what our basement was going to look like and what changes needed to be made, it really helped us visualize our basement I would recommend High Tech Renovation to anyone looking to finish their basement. We hired High Tech Reno to do our basement, Alex and his team went above and beyond to meet our needs. We we're very satisfied with their workmanship and experience. Dmitry came up with a great 3D design which gave us perspective and everything we needed. I would highly recommend High Tech Reno to anyone looking to finish their basement. I could not be more pleased with my decision to go with High Tech Reno for my basement. I have a 1500 sqf basement that needed to be finished, and required it to be completed in under 6 weeks. Dmitry worked with me and we arrived at a final floor plan. The work went smoothly as planned the contractors who worked for Alex were excellent. The arrived on time and worked diligently through the day. There were no last minute surprises and the contract finished, as promised, one week in advance of the promised date with no price escalations. On the completion of the project I had a large party room with a wet bar, a full washroom, a bedroom and a finished laundry room. I would have no hesitation in recommending Alex and HTR to anyone looking to professionally finish their basement, on budget and on time. 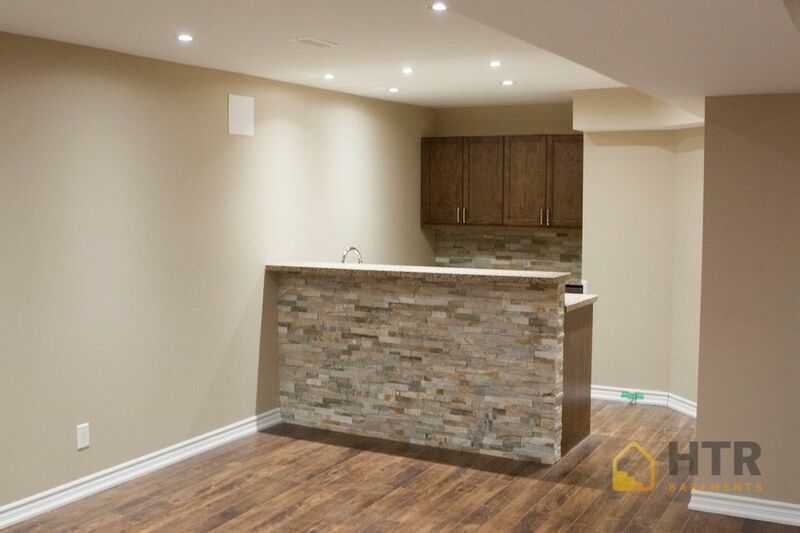 I hired with the guys at High Tech Reno to finish my basement in Oakville. From the initial meeting to the completion of the project the entire team was a pleasure to work with. It was important for me that the contractor I hired did not "surprise" me with hidden costs as the project got going and I was not disappointed. I was presented with a very detailed and guaranteed quote and a 3D design and Alex and his team executed everything as per quote, design and schedule. As far as home renovation projects go this was by far the best experience we've had, the team was always available to help us with design and other questions we've had. 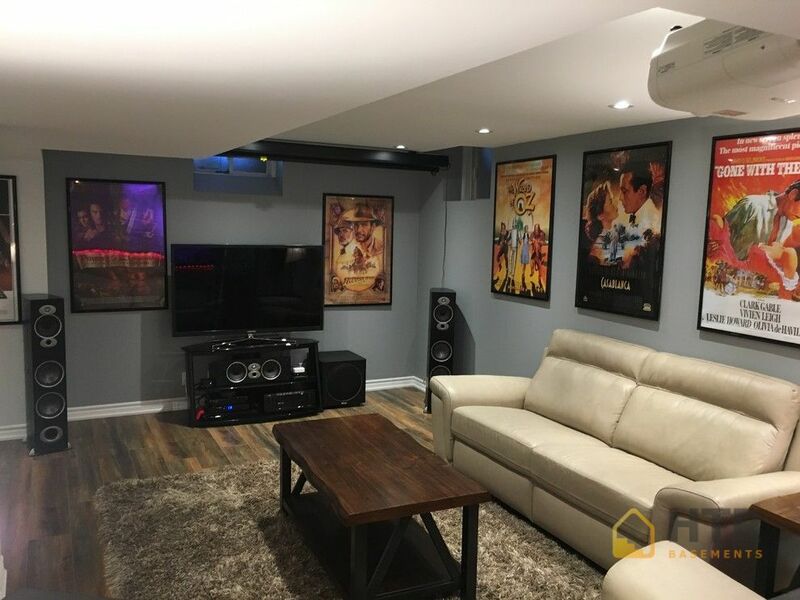 Hitech Reno did my basement and we are happy with the results. Overall Alex and his Team did a fine job with the basement renovations. It was done in a very timely manner - which can be a real challenge with contractors in general, so that was impressive! I would recommend them in the future, but be absolutely sure you discuss every detail with them so there are no surprises (like total amount of doors you want/ need or how many electrical outlets you are requesting). These are important because they include a certain amount in their pricing, so if you need more it will cost more if those details were not detailed in advance. Other than that - I would highly recommend them as a Terrific Contract team. We had hired HIGH TECH RENOVATION to finish our basement. We had to have it completed by a specific date which was 8 Weeks from date of signing the contract. High Tech Renovation completed the project to our satisfaction 2 weeks prior to the anticipated date of completion. My wife Susan and I were impressed with the way conducted the project. The layout was submitted to us and the changes that were required was taken care of. They were very organised with the planning and execution of the project, the coordination between the various department was very well executed. We will have no hesitation in recommending them them and using . I could not be more pleased with my decision to go with High Tech Reno for my basement. I have a 1,500 sqf basement that needed to be finished, and required it to be completed in under 6 weeks. Dmitry worked with me and we arrived at a final floor plan. The work went smoothly as planned the contractors who worked for Alex were excellent. The arrived on time and worked diligently through the day. There were no last minute surprises and the contract finished, as promised, one week in advance of the promised date with no price escalations. On the completion of the project I had a large party room with a wet bar, a full washroom, a bedroom and a finished laundry room. 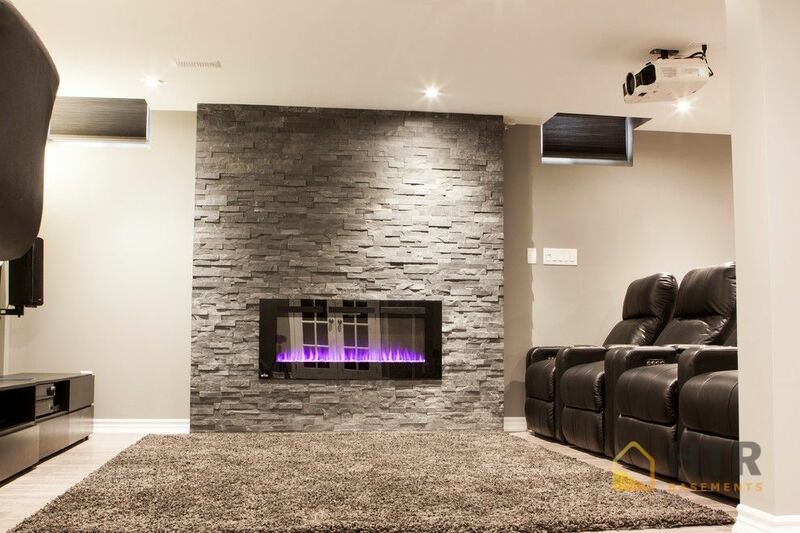 I would have no hesitation in recommending Alex and HTR to anyone looking to professionally finish their basement, on budget and on time. Hiring a contractor can be very scary. I hired High Tech Reno to finish my unfinished basement. Like everyone who is reading this review, I did my homework as well. I got quotes from at least 10 other contractors including penguin basements and all the big names out in the market. I decided that High Tech Reno would be getting my business. When I first called them they took the time to review some details with me over the phone. Dmitry came to the house the following day and I showed him what I wanted and how I envisioned everything. He came in with lasers to measure the basement (which impressed me. The only contractor who didn’t take out a measuring tape but had the most recent technology) after talking about vision and cost I decided to sign with them. He advised that he would send me preview on how it would look ( 3d Render Pic). Dmitry ran through the contract with me and advised of what I was getting. Pot lights, doors, what handles, what tiles, what kind of flooring and what not. I was nervous as I just gave a deposit. The time came around to start work. We set a date on when the work would start and that’s exactly when it started. I had delivery trucks at my house a day before and everything was ready to go for the contractors. All the people that came in my house respected me and my family and the most important they respected my SPACE. As the work was going on the project Manager would pop in to ensure everything was on track and would always check up with me. Dmitry and Alex were both a pleasure to work with and also recommended some great ideas. They finished the basement earlier than expected and did an amazing job. Quality and small details are just simply amazing. I could’ve gone to a company that quoted me less but I decided to go with HIGH tech because I enjoyed interacting with them and I could tell that communication was not going to be a problem. So happy I went with them vs a cheaper quoted company. Overall Dmitry, Alex and his crew all did an amazing job. Now my son has amazing open area where he can run around and be free. Thank you High Tech Reno! High Tech Renovations just completed a full remodel of my basement. They started and completed on time and used the best finishes and products! I am very impressed with their work and would recommend their services!! Quotes and price were very fare. They gave us a start time and everything was right on time, very accessible,easy to talk to and very professional . They meet expectations we have already recommended the company that's how happy we are with the service provided. They did our basement and me and my husband were impressed. They were able to come in to start the work very soon after we decided to go with them and they were done in a little over a month. I would reccomend them to others and use them again if needed! hey responded to all my questions and concerns very timely. We were very happy with the end result!! High Tech Renovation was did an excellent job when it came to the construction of our basement. We decided to do the basement in November. Dmitry was very good in helping us determine the layout and his 3D rendition made it easier to see the end result. We decided on a bedroom, 3 piece washroom, semi-bar and living area. Alex and his team of contractors were very cooperative and accepting of any concerns or changes we wanted to make during the whole process. Alex was very helpful in explaining the various steps involved; the products that they would use and making sure that the time lines were met. The whole project took about 6 weeks to complete. I am very pleased with the way the basement turned out. Great Job! High Tech Reno. Hired High Tech Reno to do our basement, Alex and his team went above and beyond to meet our needs. Very professional from start to finish... Dmitry came up with a great 3D design which really put things in perspective it gave us everything we needed. I would highly recommend High Tech Reno to anyone looking to finish their basement. We hired High Tech Renovations to do our basement in the fall. Their prices were fair and they delivered on everything that was promised. They really know what they are talking about when it comes to basements. The team worked every day morning to night and completed our basement is just over 3 weeks, We thought that the design process was very useful as seeing our finished project in 3D really helped us visualize the space and make the right choices in terms of layout. 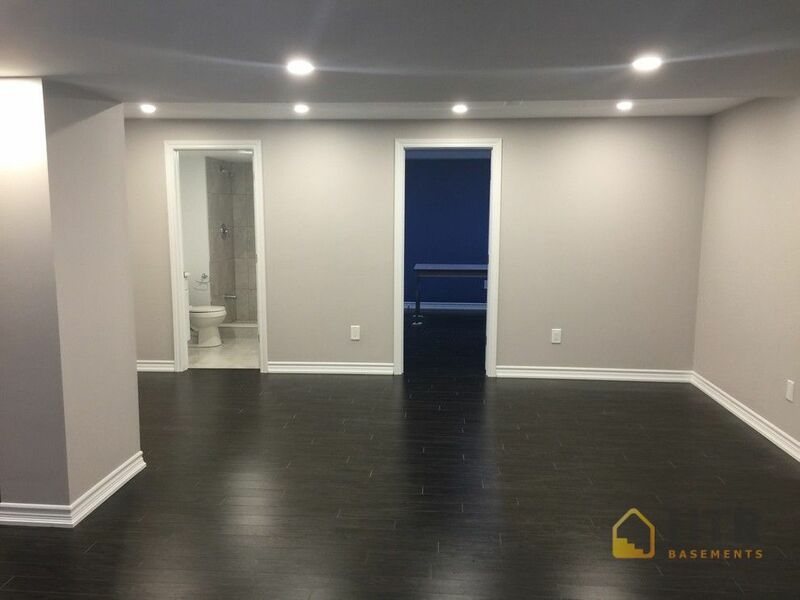 I'm so pleased with how my basement renovation turned out. Every step of the way Alex and his team of experts were helpful and efficient in making sure I stayed informed with the progress of the project. They offered me a competitive rate for superior results. If you're in the market for any home renovations this is the company to call! 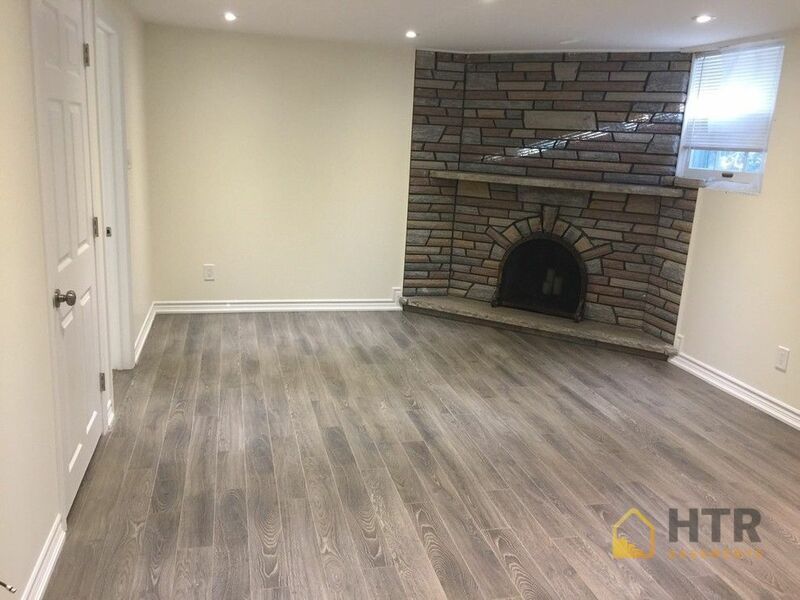 We found High Tech Reno Corp to offer the highest standard of quality and professionalism, and our basement looks good and professionally finished. They kept to their commitment in terms of quality, time line and their entire team was respectful of our property while working on our premises. I would recommend HTR without hesitation.